The most famous line in Tokyo is the Yamanote Line. 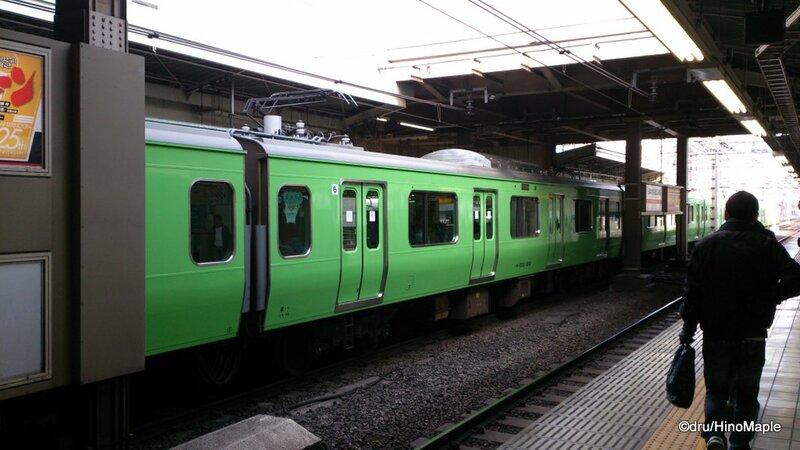 The lime green striped train keeps circling central Tokyo all day long. While there is only one single line, the Yamanote Line is often split into the inner and outer lines (uchimawari & sotomawari). 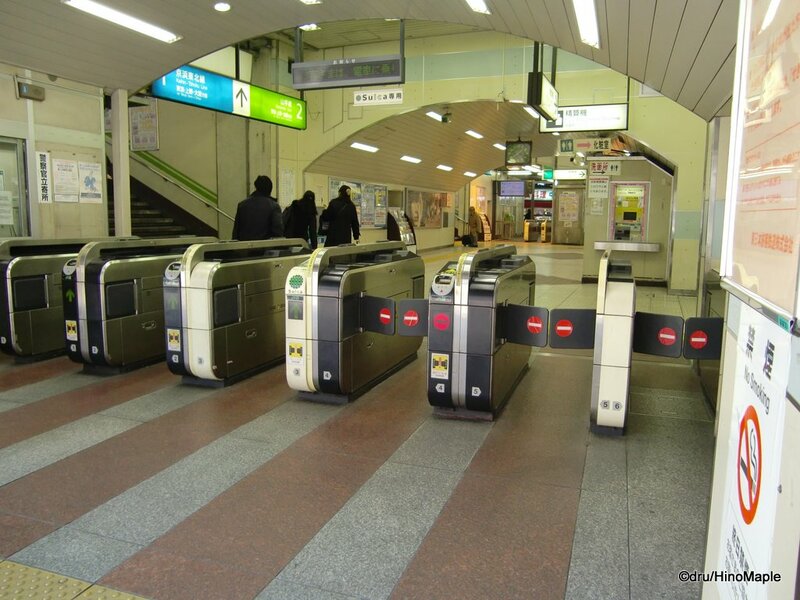 The line has been running for decades and is an icon of Tokyo. Everyone has ridden the Yamanote at some time during their travels in Tokyo, or at the very least seen it. You can see it in various TV shows and movies, although you may not recognize it. My own personal first experience with it was in the anime series Neon Genesis: Evangelion. He is riding the “Tokyo-3 Loop Line” but it is very obvious that he is riding the future version of the Yamanote. You see him riding and listening to music for hours without getting off and it appears as if he never stops. You wonder where he is going the entire time. 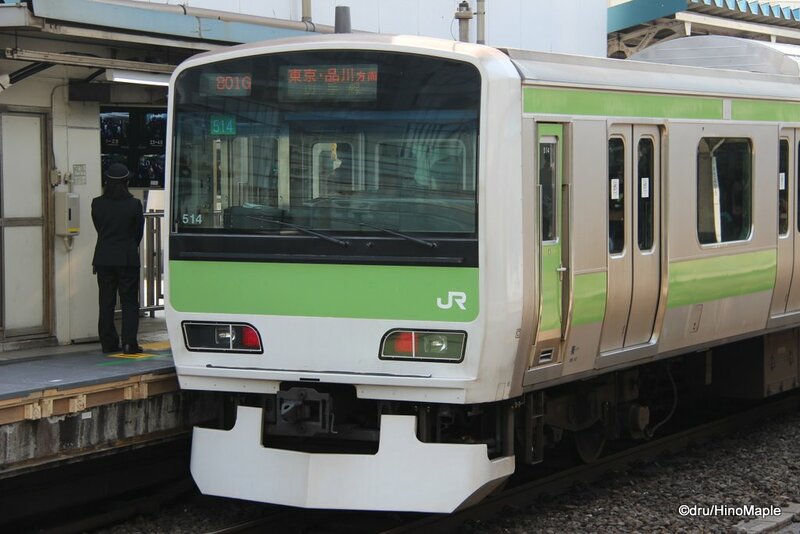 I never knew about it then but it was my first experience regarding the Yamanote and when I finally arrived in Japan and learned about the Yamanote, I realized how he could have ridden the rails all day and not have any problems. 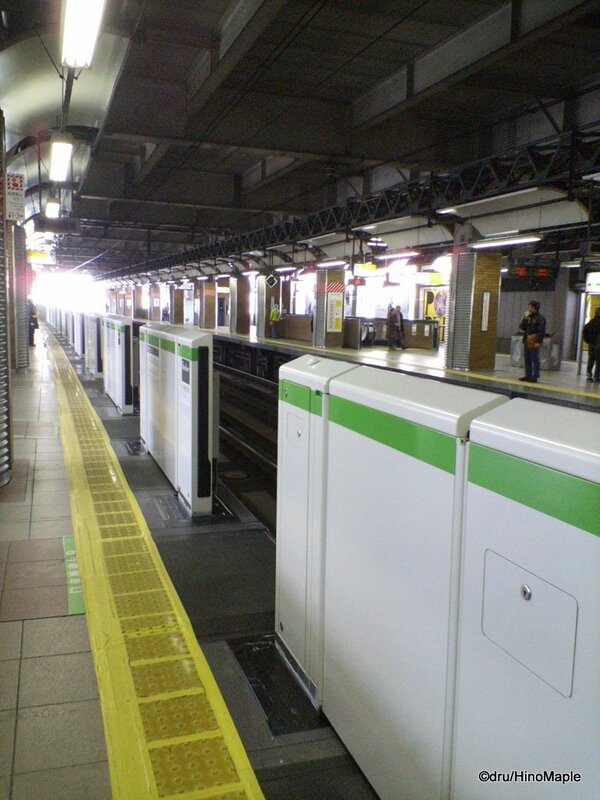 There is no real start or end station for the Yamanote but the official main depot is at Osaki Station. This is where most of the trains will come in and out of service. Trains will come in and out of service at Ikebukuro Station and Shinagawa Station as well but these are relatively minor stations for this type of service. I have been on the bad end of these service ending trains before. You get so used to the idea that the Yamanote Line trains will never go out of service that you just take for granted that you can go anywhere you want and never check the destination carefully. I was politely made aware, maybe a few times, that the train that I was on had terminated at Osaki or Ikebukuro and I would have to get off and get on the next train that was following. It can be a rude awakening and many people are caught out by this. I have even seen some people, usually tourists; enter the train that is going out of service and promptly being told that the train is no longer in service. The Yamanote Line has inspired a lot of marketing and a lot of parties. When I first arrived in Japan, there was a Halloween party on the Yamanote Line. A group of foreigners would set up a costume party and board the Yamanote Line train on Halloween. It was very popular and it was like a flashmob where people would do just 1 circuit of the Yamanote and then depart whenever they finished. 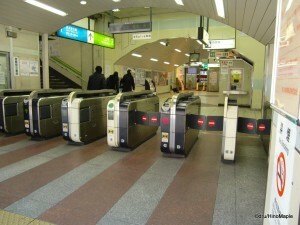 People would get on and off at different stations making sure they were on the right train at the right time. A few years ago JR East put a stop to this flashmob by making sure people in costumes were not loitering on the platforms. It is still being enforced today and if there are any Yamanote Line Halloween parties, I haven’t heard about it. One of the more important grassroots events is the Yamathon. It is a famous “marathon” that runs the length of the Yamanote Line. It is sponsored by a few international financial companies in Japan and all proceeds go directly to Oxfam. Many people conduct their own Yamathons but the official one is held almost annually. You start off at one station and then proceed to visit all stations on the Yamanote Line. You must take photos at each station to prove you were there but that is the only instructions you have. I have yet to challenge the Yamathon but I do plan to do it one of these days. JR East does a lot to promote and market the Yamanote Line. Wherever you go you can see Yamanote Line merchandise. It is the only line in Tokyo that is marketed heavily. Other lines usually follow suit after a Yamanote Line merchandise becomes a hit. 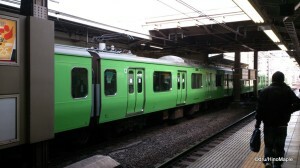 Train models are pretty standard with every type of model train maker having their own Yamanote Line train. You also have things such as pencils, note pads, and even tumblers. Some of the more interesting items you can get are the key rings. These can be as simple as a sign saying the station name or one that plays the door closing chime at each station. This is a great souvenir for people who want to remember where they were. These are found in many places around Tokyo. The Yamanote Line trains are also the most lucrative billboards in Tokyo. You can see them going around and around and inside the advertising is at a premium. Some trains are completely decked out in a company’s sponsorship. The outside has advertising and all throughout the inside they have advertising for the company as well. There was a chocolate train where the outside was primarily chocolate brown and all of the advertising inside, including the TV monitors, had advertising for the chocolate company’s products. Sometimes they are heavily sought after because they are cute, but other times they are not. 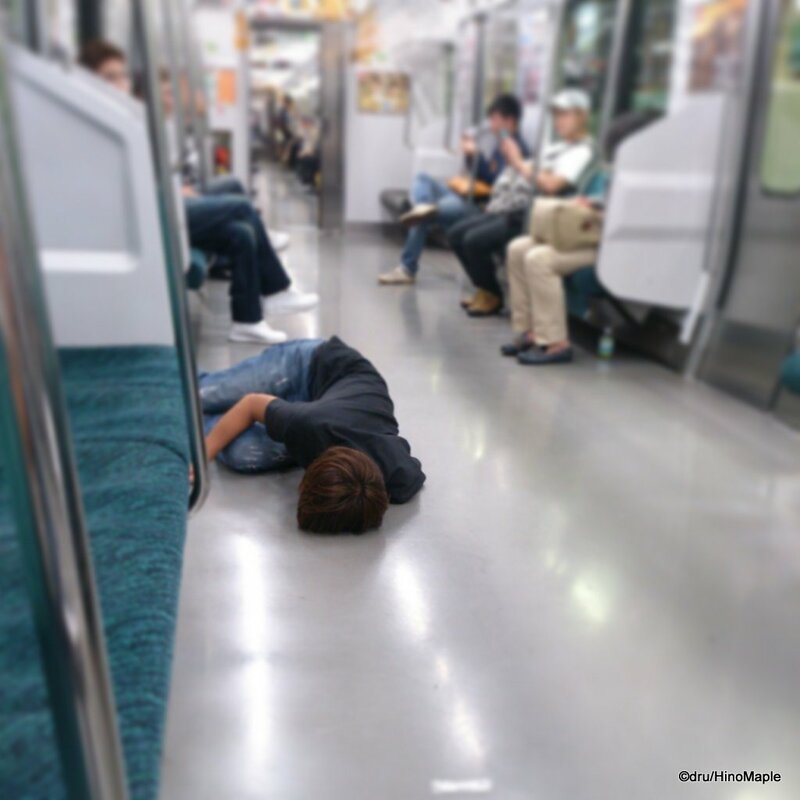 The Yamanote Line is the heart and soul of Tokyo. Some people hate it but the vast majority of people know it and look at it as a symbol of Tokyo. Tokyo Tower and Tokyo Skytree are also symbols of Tokyo but the one thing that links all of them, both literally and figuratively, is the Yamanote Line. Whether you are packed on an afternoon train or trying to avoid the drunks on the evening trains, we all have stories to tell about the Yamanote Line. I would be hard pressed to find someone who doesn’t have a story about the Yamanote Line. If you are visiting Tokyo, be sure to enjoy the craziness of this line and realize that you are on what I would consider to be the busiest train line in the world. 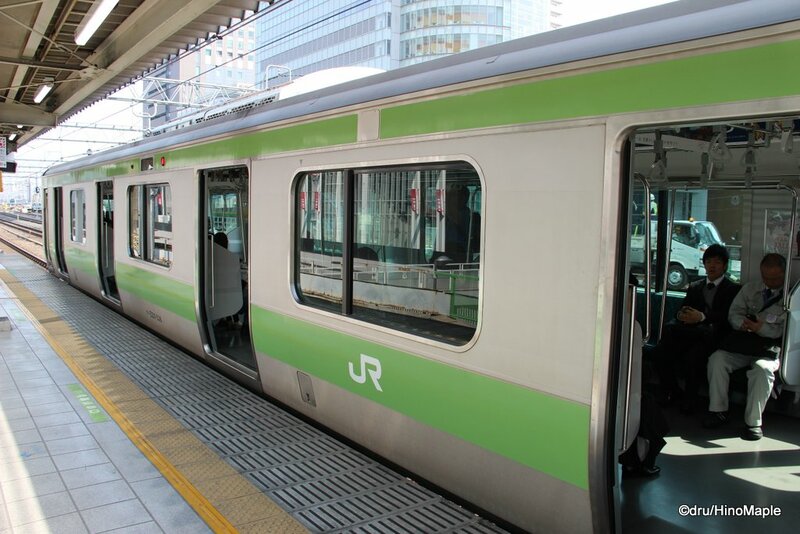 This entry was posted in Tokyo, Travel and tagged Akihabara Station, japan, Japan Rail, Japan Rail East, JR, JR East, Loop Line, Ring Line, tokyo, train, Yamanote, Yamanote Line, Yamate, Yamate Line by Dru. Bookmark the permalink. I can probably rattle off most of the stations, and probably in order too. PS: You have lived in Tokyo for a long time if you can name all of the Tokyo Metro and Toei Subway lines, and bonus points for knowing all of the private companies too. JR lines? Well, only 2 would be known.